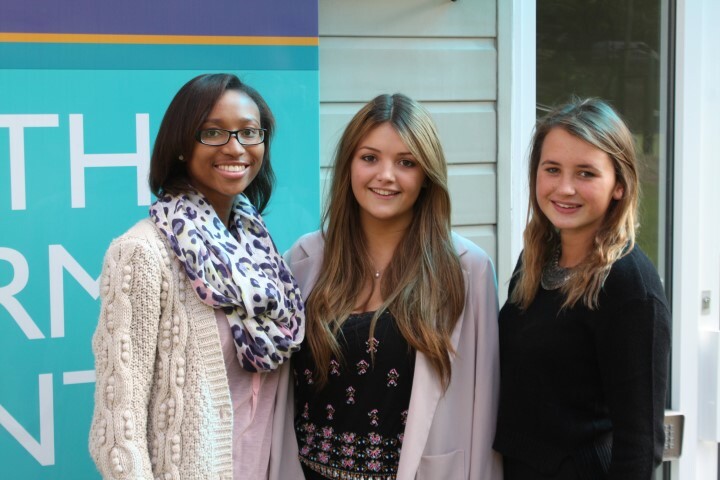 From 27-29 September our three Head Girls will put their leadership skills put to the test in an apprentice-style challenge. They’ll join 130 girls at 25 Girls’ Day School Trust (GDST) Sixth Forms from across the country at the organisation’s annual ‘Young Leaders Conference’. The conference is designed to help them build the skills they’ll need to succeed – such as team work, communication, time management, presenting, negotiation, problem solving and financial management. The three day residential event at The Royal High School, Bath, comes shortly after Nick Hurd, Minister for Civil Society, claimed that young people lack the skills, such as confidence and ‘grit’, which employers look for. During the biggest event of its kind, students will be sorted into competing teams and tasked with working together to design a fundraising and marketing campaign to boost awareness of one of several national and international charities. Plan UK, Jo’s Trust, youth homelessness charity Centrepoint and The Wildlife Trust were all invited to showcase at the conference. On the last day they will present their final work to a judging panel, including GDST Chief Executive Helen Fraser and representatives of the four charities. Nine prizes in total will be awarded, including ‘Best event idea’, ‘Best supporting marketing campaign’ and ‘Best presentation’. Delegates will also hear from inspirational female speakers, including Dame Claire Bertschinger (the nurse and activist whose work in Ethiopia in the 1980s inspired Live Aid) and Ann Francke (Chief Executive of the Chartered Management Institute), learning about their own working lives and the skills they needed to succeed.